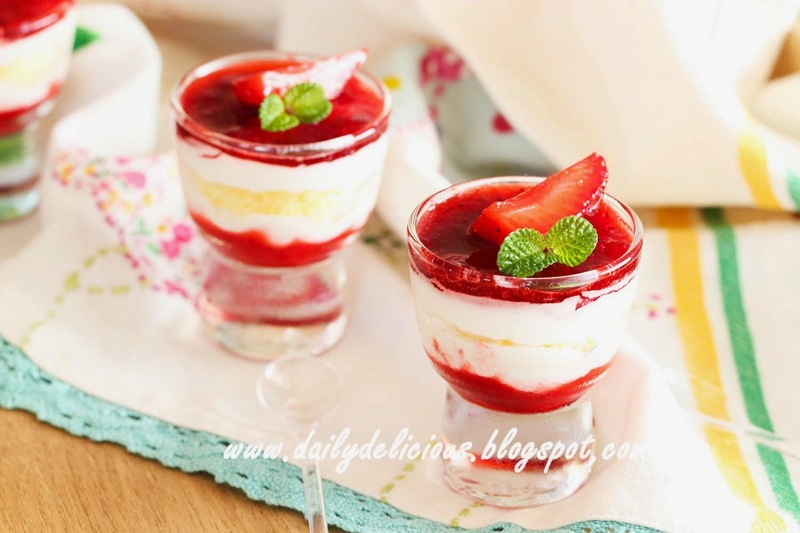 dailydelicious: Strawberry Shortcake in a shot: Small cake in a glass. 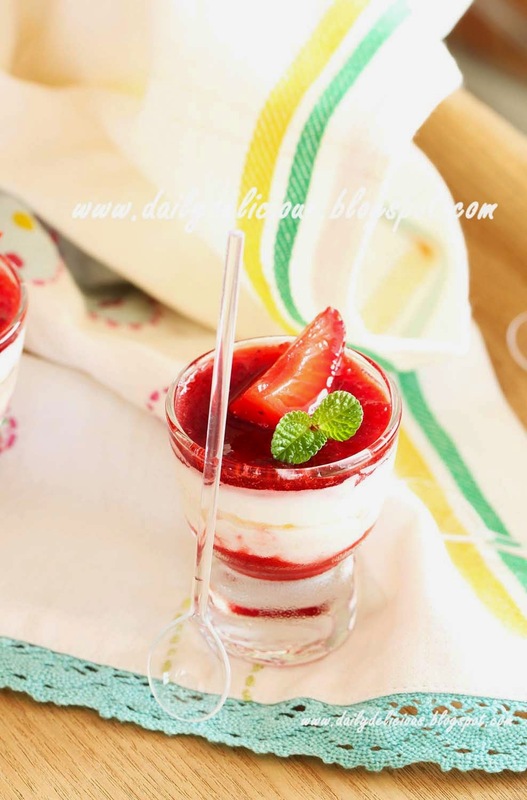 Strawberry Shortcake in a shot: Small cake in a glass. I love small dessert, not only for the size, but it makes people more welcome it, too. Especially when finish dinner, large piece of cake will be great for some, but for many people who just full, they may say no to dessert. 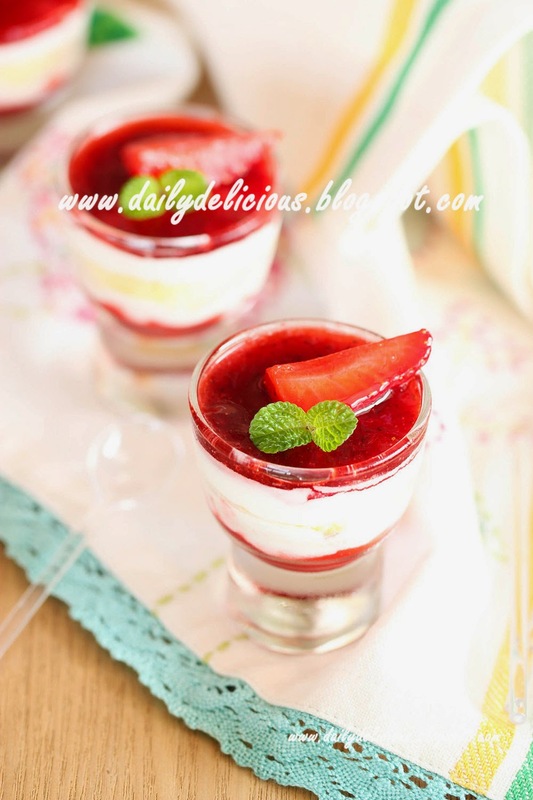 But I think for this time, your guest will say "Yes" ^^, because it's a cute little strawberry shortcake in a shot cup! Only 4 cm per cup, hehe, you can finish it in 2 (or 1) times. This dessert is very easy to make, esp. if you don't have to make sponge cake. You can prepare this dessert ahead of time, refrigerate then decorate it just before serving. 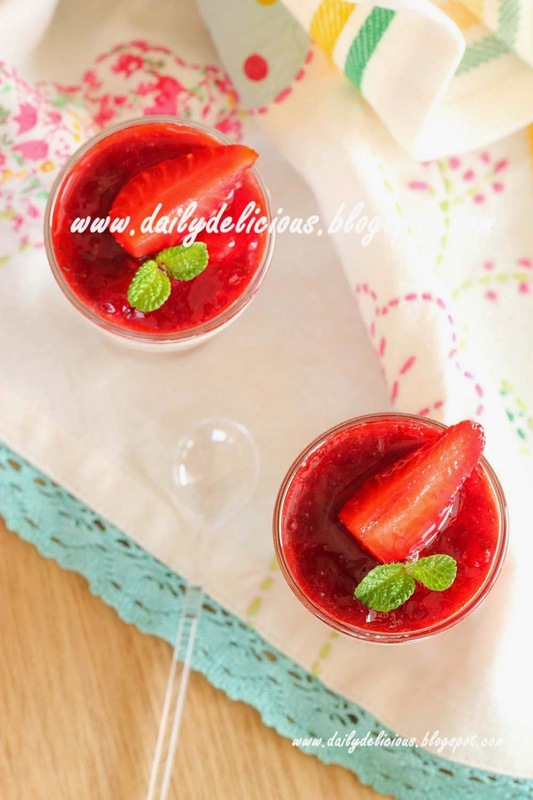 Cut the strawberry into pieces, reserve 6 pieces for decoration. 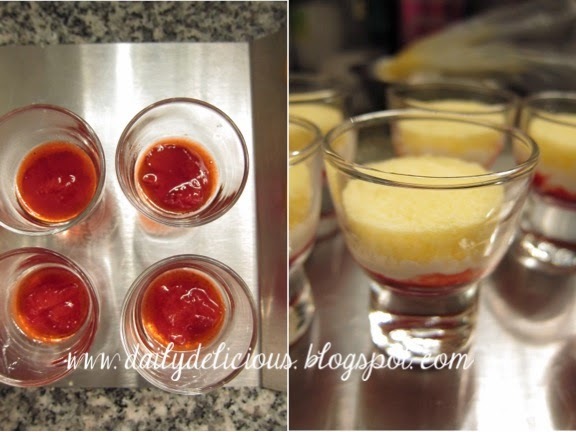 Mix together the rest of the strawberry with sugar and Kirsch in microwavable bowl, cover the bowl. Heat in the microwave for 1 minutes (600w), remove from the microwave, stir, cover the bowl, then heat in the microwave again for 1 minutes (600w). Remove from the microwave, let the mixture cool to room temperature. Whip the whipping cream and sugar together until soft peak form. Spoon strawberry mixture into a shot cup, pipe the whipped cream over the mixture, then place the sponge cake on top of the whipping cream. Pipe another layer of whipping cream on top of the cake, then spoon the strawberry on top. 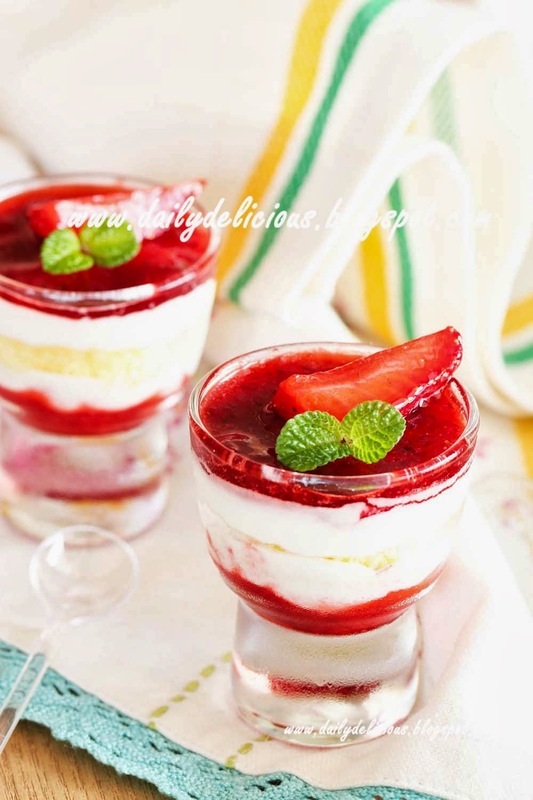 Decorate with strawberry pieces before serving. Pop tarts: Delicious breakfast treats!